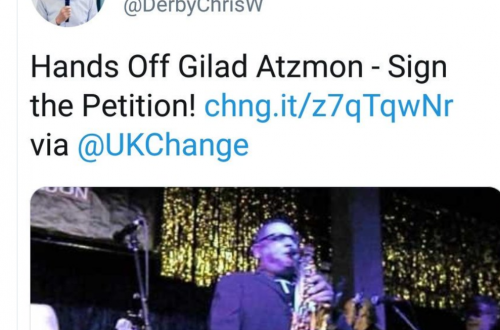 A couple of weeks ago, Steve Hedley, the London Transport Regional Organiser of the National Union of Rail, Maritime & Transport Workers (“RMT”) mocked and threatened the Jewish blogger, Richard Millett, with racist slurs. “We oppose the Israeli government because we oppose the racist policies that they’re carrying out on the Palestinian people. And you can cover it up for so long with your friends in the media, with the attack on the Mavi Marmara, and the attack on the innocent women and children who you who you starved and turned into the biggest concentration camp on the earth[applause]. And this is the reality of it! You’re an absolute disgrace to the Jewish people! You are a modern-day fascist! Clips show that later in the meeting, things hit an even more concerning note. Steve addressed a Jewish audience member about “your friends in the media” and also referred to someone as one of the “chosen people”. Anti-Semitism takes many guises other than directly saying “I hate Jews”; anti-Semitism historically contains an image of power attributed to Jews (“the Jews control the banks”, “all Jews are wealthy capitalists”, “the Jews control the media”, “the Jews think they are chosen (and thus better than everyone else)”). These comments by Steve are in line with some of those myths and are therefore anti-Semitic. They should have no place in any labour movement meeting; we condemn them. We also condemn the foul anti-Irish comments directed at Steve which have appeared on at least one blog following the publicising of his comments. We were not at the meeting, so do not know what arguments preceded this incident, or what other unpleasant comments might have been said by anyone else in attendance; but nevertheless, racism in any form is unacceptable. The right thing for Steve Hedley to do at this stage is to admit that he got it very, very wrong, and to commit to opposing anti-Jewish racism. But racists never apologise. That’s because they think they’re right to be racists. So what does the racist, Steve Hedley do instead? Simple. He attacks Richard Millett: the man who reported his words, who he racially abused, and who he threatened to beat up. Here, on the RMT Website is a statement from Steve Hedley. I’m reprinting it in full, and interjecting a few comments myself. I recently attended an RMT London Transport Regional Council meeting on the subject of Palestine and possible benefits of boycott, disinvestment and sanctions against Israel’s treatment of the Palestinians and Israel’s continuing breach of international law. I came to the meeting as the RMT Regional Organiser to welcome people and was not sure of the merits of the proposed policy. It soon became apparent however, that around five people in the room had come to disrupt the meeting and to prevent meaningful debate. They began by interrupting and shouting comments such as: ”liars!”, and “that’s a lie”, increasingly noisily barracking speakers, who included Israeli anti-Zionist Jews, Ilan Pappe and Moche Machover. The hecklers then whipped themselves into a frenzy even abusing people (including RMT members and activists) in the audience as “Nazis”, “fascists” and “racists”. In contrast, the meeting itself was conducted in order to let every one of the disrupters speak ad nauseum without heckling or interrupting them in any way. The barrage of abuse reached a crescendo when I tried to answer some of their points. I haven’t heard a full recording of the meeting. It is quite possible that there was heckling in the background. There is usually talk-back at lively meetings on contentious subjects, and it is the job of the chair to control it. To hear a middle aged trade unionist – one with a reputation for being a bit of a hard man – boohooing about shouting is just pathetic. However, I’ve checked with some who were there. They do not recognise the description of the meeting above. There were minimal interruptions of the speakers, and the Q&A were heated but relatively polite. Until Steve Hedley began his rant. But you’ll remember, of course, that Hedley needs to exonerate himself from racism and a threat to assault a Jewish audience member. So it is important to his defence, to paint himself as the victim. I was abused as a Nazi and a fascist by someone now known to me as Richard Millet. Richard Millett is a softly spoken and reserved man. He emphatically and angrily denies having called Hedley a Nazi. It is not the sort of thing he would do. Indeed, it was Hedley who called a Jewish audience member a “Nazi”: one of the favourite slurs of those who enjoy taunting Jews with their own persecution. I found this very upsetting as I have a long history of anti-fascist activity dating back some quarter of a century. I have had to vigorously defend myself from fascist attacks on numerous occasions and have even been arrested for my activity. Because, as we all know, those who have engaged in anti-fascist activity could never, ever, possibly make racist statements. It was made known to me during the meeting that at least two of the disrupters were associates of the neo-fascist English Defence League (EDL). It was these people who were clearly acting as agent provocateurs to disrupt a trade union meeting that I was addressing when I was recorded by Richard Millet on his mobile phone, a recording which it has been brought to my attention he has now posted on the internet on a number of right wing websites. This information came from Carol Foster, one of our retired members and a Jewish campaigner for justice for the Palestinians. Carol herself was abused as a fascist during the meeting by the hecklers and on a previous occasion has been threatened with violence by the same group. Richard Millett rightly treats the suggestion that he may have been associated with the EDL as a “despicable slur” and makes it clear that “I always denounce the EDL“. Is is also simply not true that Richard Millett posted the video on “a number of right wing websites”. Remember, of course, that Hedley is likely to regard much of the Labour Party as “Right wing”. Millet’s video recording itself has been heavily edited to 17 seconds in length and does not show the context in which my remarks were made, remarks which were recorded in full at the meeting and which I have a copy of. . The full recording shows that I had to raise my voice to prevent myself being shouted down by the hecklers and disrupters. In hindsight it was obvious that they wanted to provoke just such a reaction and then to use it against anyone who criticised the policies of the state of Israel. Ah, the old “out of context” defence. A favourite of racists. Last night I read in a Workers’ Liberty blog that I had made two alleged anti-Semitic comments. The first being: “your friends in the media”. I do not consider this an anti-Semitic remark. This was clearly a reference to those who cover up the actions of the Israeli government and I made it very clear that all my criticism was about the Israeli state’s policies. It is widely known that British and American media report on the Israeli occupation of Palestine in a biased manner, favouring the Israeli state and American interests in the region. This is illustrated by the fact that the release of one Israeli soldier became a cause celebre in contrast to the release of hundreds of Palestinians including many teenage children who were simply described as Hamas terrorists. Right. Without getting into the substance of Hadley’s argument, I’d like to comment on the nature of this defence. When somebody is caught out, engaging in racist abuse, it is not uncommon for them to insist that they’re not generalising about a person’s race: but rather making a point about a small group or faction only. Where there is a danger of straying into racist arguments, it is still be possible to make careful points about specific political parties, government, or organisations. The way to do it is to be precise as possible and to avoid inflammatory rhetoric. It is commonplace for those accused of racism against Jews, and whose rhetoric precisely reproduces ancient racist accusations against Jews, to insist that they’re talking about anybody but Jews. And this is precisely what Hedley does. The second comment I made was to Richard Millet after he had just called me “a Nazi” for the second time. He then asked me “Do you feel better now?” I replied sarcastically, ”Yes, better than you anyway, but maybe you feel better than me, as you’re one of the chosen people”, he replied “Is that because I’m a Jew?”, I answered ”No, it’s because you’re a Zionist. I have no idea what your religion is”. The phrase “chosen people” refers to the Jewish people, comes from The Torah and is repeated in The Bible (Deuteronomy 14:2. It has been adopted by right-wing Zionists as a Biblical justification for the seizure of Palestinian land, which they see it as their God-given right. However, I accept that my use of the phrase in the context of the highly inflammatory argument with aggressive and disruptive intruders trying to wreck a public meeting and provoke a reaction, was unwise and I regret using the phrase. I apologise to anyone who may have been offended by this remark. And this is the closest you get to Hedley accepting that he has done anything wrong. Abusing Jews in racist terms, is merely “unwise”. Sadly, the evidence is that – in certain parts of the far Left and far Right – you can whip up hatred against Jews as much as you like, with no repercussions at all. I have never been, nor will I ever be, anti Jewish, or racist against any nationality or ethnicity. Neither will I refrain from criticising Israeli state policy towards the Palestinian population where that policy is discriminatory, oppressive and racist. I regret that I was provoked into making statements that could be deliberately and maliciously miscontrued by right-wing Zionists who are openly hostile to trade unions, openly consort with the neo-fascist EDL and who wish to smear my reputation and that of my union. I’d merely remind you at this point that Richard Millett makes clear his opposition to the EDL. So, this is not just another example of blame-the-victim: it is yet another lie. 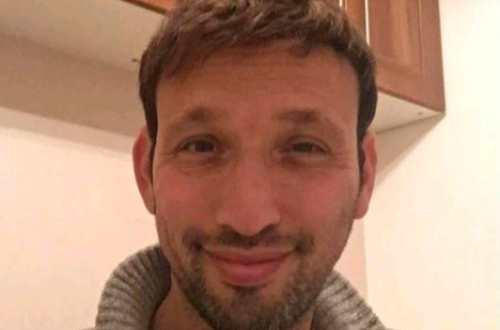 Richard Millet, for example, has to register his blog out of the UK because he has been sued for slander and libel by other victims of his maniacal denunciation of everyone who dares to speak out against the Israeli state’s role in the Middle East. I’m very happy to give a full account and answer any questions if you want to speak to me on the matter. 1. Lies about being called a Nazi by Richard Millett: when it was he who called a Jew a Nazi. 2. Invokes past “anti-fascist” activity to divert attention from his present racist conduct. 3. Implies that the victim of his racist attack was an associate of the EDL. 4. Denies that his statements were racist. 5. Lies about telling Richard Millett that he had no idea he was Jewish. Can you imagine anything more disgusting? Workers’ Liberty is something of an exception on the far Left. They’re not political opportunists – whatever you may think of their politics, they have been consistent to their principles. Steve Hedley is an ally of theirs – but as anti-racists, they’ve courageously called their ally out. I do hope that Workers’ Liberty will revisit their statement, and will assess any additional evidence Steve Hedley has about his conduct at this meeting, alongside his new statement. On the basis of what I’ve seen of Hedley’s conduct, and what I know about Workers’ Liberty, I suspect they will stick to their assessment. Steve Hedley, by contrast, will never apologise and never retract. I think we know why that is.